From I-95, take exit 80, MD-543 S (Riverside). Go 1.4 miles to US-40, turn right (north). Go 2.9 miles, turn right on MD-715 to Main Gate (MD-715 becomes Maryland Blvd past Main Gate). Go 1.1 miles to Aberdeen Blvd. This is the sixth stop light counting the barrier stop light. ---- For RV Park (11 sites): turn LEFT onto Aberdeen Blvd. Go 1.1 miles, turn right onto Patriot Way. Go one-tenth of a mile, turn left onto Marylander Drive. After one-tenth of a mile, arrive at campground on your left. ---- For MWR bldg. : turn RIGHT onto Aberdeen Blvd. Go 8/10th of a mile and turn left. This will be the first road after the third traffic signal. MWR is approximately 2/10th of a mile on the right in a brick bldg. Prices are for "Active duty - Retired - APG Contractors - DOD Civilian". Patrons are allowed to sponsor up to 2 guests. Minimum weekend stay is 2 nights. 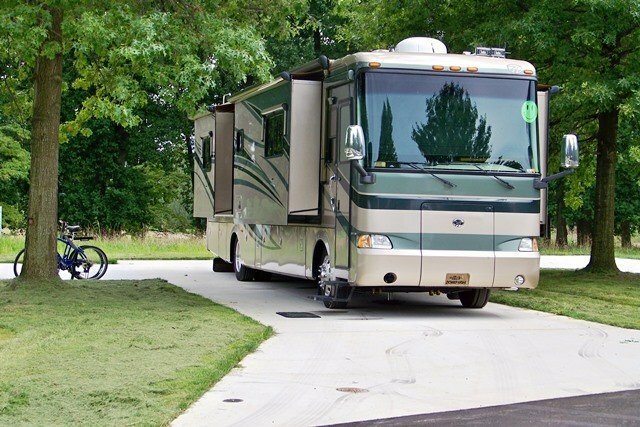 IAW AR 215-1: Patrons are allowed to stay in one RV site 60 days in peak season (April 1- October 31) and 90 days in non-peak season (November 1- March 30). Showers available at the fitness center. Reservation form to be faxed or emailed to APG. Base map of Aberdeen Proving Ground, MD. The Marylander is pretty much as indicated I just wanted to offer an up date to it. I have a 50ft 5th wheel and had no problems getting backed in as the drive area had enough space to pull up so the RV could be easily backed right in to the space(s). I stayed for 11 days and everything is conventionally located w barber shops, Walmart, train station, laundromats etc. The camp ground itself was quite, aside from the occasional train. The camp site backed up to some off post housing but didn’t bother me at all. So if your not needing the laundry/ bathhouse or a more of a outdoor ambience the Marylander will work great for the price. 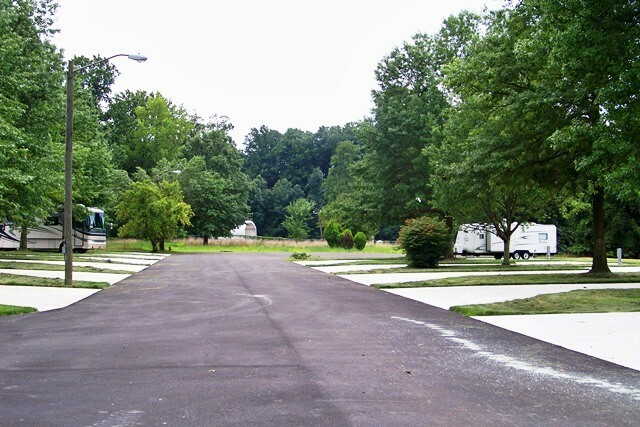 This was only the latest of numerous stays for us at the APG Marylander RV Park and we like it a lot. We prefer the Marylander to the newer Shore Park as the newer park is $10/night more at this time and we don't need the bath house or laundry facilities (although you can buy a laundry card and get a key card for the Shore Park at MWR if you need it). APG is "Home Base Northeast" for us when we want to be near our grand-kids in the Baltimore area. Being on the west side of post near US 40/Pulaski highway and the railroad tracks, the Marylander is a bit noisier than the Shore Park, but it's not bad at all and one gets used to it very quickly. In fact, the acorns hitting the top of the RV in the fall are much louder! The concrete pads are large and level (I was told by a former CSM they are not as level in the Shore Park) and the utilities are good (50 amp without voltage drops or fluctuation, good water and sewer). The MWR staff are super nice and helpful and the parks are well maintained. Post is a great place to ride bikes and we've even put our kayak in the bay and paddled around. The PX and exchange are medium size and great for the basics. There's a Walmart Supercenter just outside the gate and propane about 7 minutes from the Marylander park. 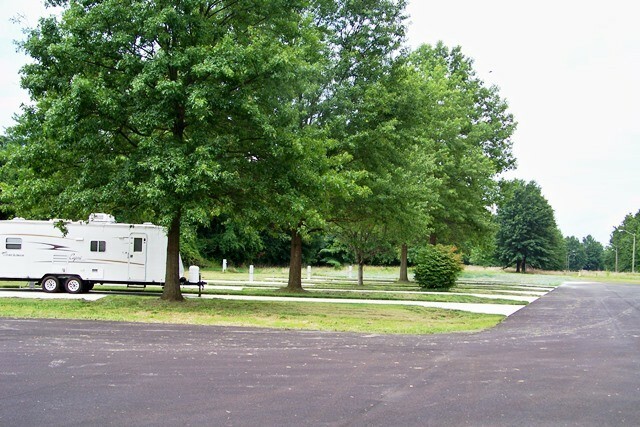 Great location and the trailer sites are well maintained. We stayed at the "Marylander" area which is a mile or two from the newer site called "Shore" The new bath house is open with private bathroom/shower rooms. The price is great and APG has a nice gym, pool and commissary. It was a bit difficult to find the site. It's buried well within the base, next to the housing area and next to a fence with off-base housing on the other side. Site itself was clean and fairly quite; deer graze right next to the site. There are no bath/toilet/shower facilities. We had a problem making contact with the staff. I left numerous messages before someone returned my call. The person was nice but not to well informed, telling me i would need a gate code if i arrived after hours (there is no gate or other security at the site). I made several calls when i got close to the base, to get the code, no answers. Luckily there was no gate; if there had been I'd have had to find a short notice alternate location. The site is close to the BX/commissary; both are very good. We would stay again; the base in located in a very nice area. Located just north of Baltimore. The campground is clean and quiet. Each site is concrete paved and level. There are no shower facilities at the campground. This is a new military camp ground. We have relatives in Fallston Maryland which is 15 miles from the base so this was great for us. We also like The Bordy Vineyard in Baldwin Maryland which is also close by. It is a thirty minute drive to downtown Baltimore if you stay away from the rush hour traffic times. The Penn Line can be caught at the Aberdeen Station into Baltimore or into Washington DC. For the money you can't beat this place. M.B. left this review using the Directory software: - Stayed at the APG North campground 16-18 Aug 14. Made initial reservation attempts through the internet site, followed up with several phone calls. As noted earlier, the management still appears to be learning the ropes and communications with them (3 non-replied emails & 3 unreturned messages). Should have paid more attention to a previous review indicating for after-hours check-ins the keys for the sites are in a metal box at the MWR office, which was not communicated to us by either phone call or email. Noticing the utilities were locked, we found another site and moved to that one before setting up. Formally checked in with MWR the next day without incident. The campground is in great shape as it is relatively new. Workers were still performing maintenance on the sites & grounds to further improve the area. There is an occasional train noise in the background, throughout the day/night, from a nearby Amtrak/MARC line, but you get used to it. The base Top of the Bay Club is open on weekdays for lunch. We opted for the hot lunch buffet for $9.95. The food was good; however, one of the staff measured out one 4” kielbasa link and one stuffed shell. The side dishes are self-serve and the buffet includes a trip to the soup or salad bar. Be careful at the salad bar as the shelves are slanted and if you leave your tray there it will fall off onto the floor. There is also a sandwich bar if you prefer a lighter lunch. The Aberdeen Diner, about two miles north on Route 40, is nothing fancy, but has good home-cooked food. There is also Wal-Mart Superstore about one mile north on Route 40 from the MD 715 junction, which was very convenient. Although there are limited facilities at the camp area itself, the hookups were properly placed and there was a fire ring and table for each site. There was enough room to park a camper as well as a boat and two vehicles, as the camper across from us did easily. The Commissary & BX were well stocked for all basic needs. We will definitely keep this campground in mind for future planning. We enjoyed our two weeks here. Some train noise, but mostly quiet. Lots of wildlife. 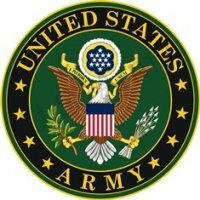 Good place to walk the dogs and a good base vet. No park host that we saw. If after hours, you still need to go to MWR for key since power and water are lock. On the porch of MWR there is a metal box marked "Hunting Permits". Key and registration info in box. Weekly and monthly discounts. Always empty spaces while we were there. Hidden treasure; superb location; excellent locale; clean; new; neat; private. Although adjacent to housing area, this military campground was like its own world. As this is a NEW operation, the MWR folks are still learning the ropes on campground management (check-in; directions; facility information; etc.). APG is a big base with good facilities and recreation. Definitely rates a return visit. There is no bathhouse, which we knew before hand. The sites are fairly remote, but near family housing. A short 1/4 to 3/8 of a mile away there is a family housing playground we used. One pool was closed for repair and the other open only on weekend until 13 June. Most everything is a bit away. The directions they gave us were awful, even though the campground is easy to find, they complicated it by trying to take the shortest route. Follow the faint pink highlighter on the map that is on the web and you should do OK. Baltimore was expensive, Harve de Grace is a hidden treasure. R.O. left this review using the Directory software: - My wife and I spent two weeks at APG camping ground to visit family. We arrived a day earlier than our reservation and called MWR to see if a site was available. Not only was the site available but the person at MWR, Lyndsey Moore, waited after hours to give us the site keys. This camp ground just opened around April 2014 and was replacing a camp ground located at Edgewood military facility, according to MWR. The sites are concrete pads with full hook-up and are spaced nicely. The sites are located between very mature trees which provided shade and in our case did not prevent us from getting a strong satellite connection. There is no bath house or dump which I do not consider as a negative factor. Each site has a lock on the electric and water connections. This key must be picked up at the MWR office. This camp ground will have Wi-Fi in the very near future. The library has Wi-Fi. They were measuring for installation during our stay. Surprisingly, during our visit there were 6 empty sites. There are plenty of things to do on and off post. It is a golfers paradise. The weekly rate makes this campground one of the least expensive in the military system. The stay is limited to 30 days according to the printed literature however based on the current occupancy rate this rule may have some flexibility. Excellent brand new park. Large concrete pads include picnic table. Quiet area. The directions on this website are excellent. We didn't use the ones given by the park staff as they looked too confusing. We arrived on Sunday when the office is not open, but there is a park host who had welcome info plus key to unlock the utilities. Wish we could have stayed longer and explored the area. There is no bath house which we didn't need since the full hookups are excellent, but a laundry would be a good suggestion for the future. There is also an excellent RV repair shop right outside the base. Our electric step quit working and we were able to get right in and have it repaired so we were able to move on the next day. Very nice area, I wish there was a DUMPING STATION for when I am driving through that could be done or maybe something could be worked out. The price is just right and I can't wait to spend the night...come on SUMMER! I drove thorough this new park this morning. The positives are (i) the pads are poured concrete and level, (ii) the hook-ups are located properly, and (iii) the pads are shaded. However the park is behind some of the permanent housing, does not have a bath house and is remote from the base recreation activities and clubs. (There is a commissary and exchange about 1/2 mile from the RV park and a mini-mart/gas station closer yet.) My first impression is that this will quickly become a haven for homesteaders.